Johann Breytenbach, general manager for the Free State Umbrella Fire Protection Association, (FSUFPA) said that as yet, no one had been apprehended for starting a veld fire that destroyed nearly 70 000ha of grazing south of Boshof in the western Free State on 6 January. According to Breytenbach, the fire had developed from a manmade roadside fire on the R64 about four to five kilometres from the town. The fire, about 70km long and 45km wide, further destroyed two homesteads and one fodder shed. Breytenbach explained that authorities were still working on the final damage assessment but preliminary indications were that large numbers of animals had died. “This was a high-intensity fire because of the prevailing dry weather conditions and high vegetative fuel load on the land,” he added. He cautioned that the veld fire season was not yet over in the Free State because of these factors, which had caused a veld fire between Koffiefontein and Fauresmith over the same weekend, destroying 8 000ha. 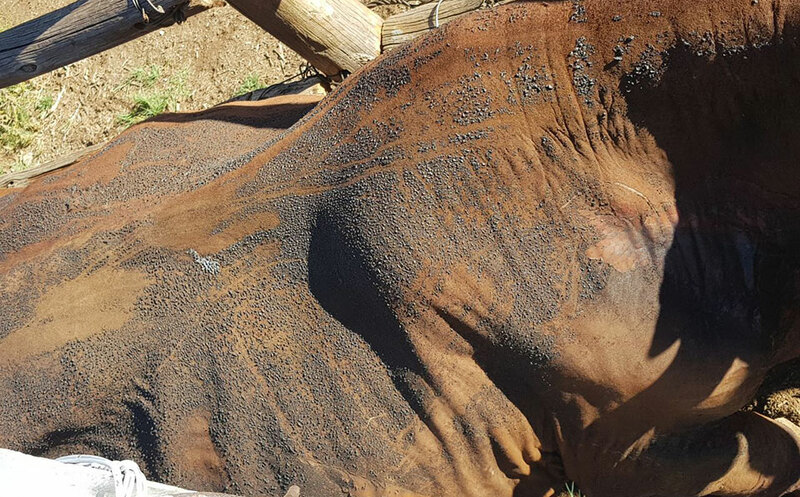 As many farmers had lost all the grazing on their land, FSUPA called on those who wanted to help to send an email to info@fsufpa.co.za for the organisation to effectively coordinate offers of aid and assistance. Johan Breytenbach sent us this video of the runaway veld fire south of Boshof in the western Free State.